From Disney's Star Wars Weekends to Wizard World Nashville the Sith Lord Darth Maul will invade Music City to meet and greet fans October 18-20, 2013! Darth Maul was a Zabrak Sith Lord during the Naboo crisis. The apprentice of Darth Sidious, he was taken at an early age to be trained in the ways of the dark side of the Force! 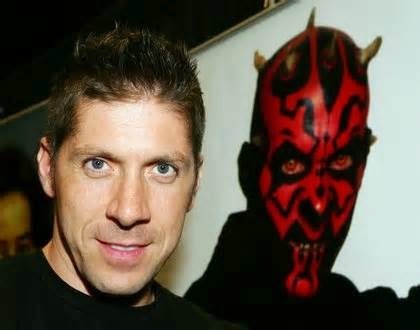 Ray Park, Darth Maul, from STAR WARS EPISODE I, Joins the Wizard World Comic Con Tour! Raymond Park was born August 23, 1974, in Southern General hospital in Glasgow, Scotland. Park always wanted to be in the movies, but he was most inspired by martial arts. He began to nurture a love for martial arts from the age of seven, when his father’s love of Bruce Lee films sparked a fire in the youngster’s mind that would never extinguish. Specializing in the traditional Chinese Northern Shaolin Kung-fu (in the Chin Woo style Park moved on to master various other styles, most notably Wushu. Soon becoming a regular fixture at martial arts exhibitions and tournaments, the now defined athlete topped Great Britain’s martial arts championships before later traveling to Malaysia to refine his skills. Conquering numerous championships worldwide and winning multiple medals, Park realized a personal dream when he competed in the Martial Arts World Championships in 1995. It was during one of his frequent visits to Malaysia that he was approached to audition as a stunt man for 1997’s Mortal Kombat: Annihilation (1997). Conjuring memories of his youthful cinematic martial arts passion, Park attempted to learn as much as possible about the process of filmmaking. Soon gaining more scenes and becoming more natural on the set, he was later contacted by stunt coordinator Nick Gillard to audition for George Lucas’ upcoming Star Wars prequel. Offered the job by producer Rick McCallum, Park was given the creative freedom to develop his choreography by an impressed Lucas, and was soon gaining the confidence to develop his role to the best of his abilities. Later essaying the aforementioned headless horseman in Sleepy Hollow (1999), Park finally saw his face and voice joined on the silver screen (regardless of his moves, his voice was dubbed in Star Wars: Episode I - The Phantom Menace) with his role as Toad in Bryan Singer’s X-Men (2000). Park took the lead as the title character in Iron Fist later the same year. Though curious Star Wars fanatics clamored to rumors that Park would return as Darth Maul in the eagerly anticipated Star Wars: Episode II - Attack of the Clones (2002), their many speculations were shot down by George Lucas himself with the announcement that although that specific character would not return for the sequel, Park would indeed play a role in Episode II. Though you may recognize his moves, his face has been curiously obscured in nearly every film in which he’s appeared. As part of one of the biggest franchises in movie history, martial artist Ray Park was the man behind the ominous, almost demonic red and black makeup of the nefarious Darth Maul in Star Wars: Episode I - The Phantom Menace (1999), and for his role in director Tim Burton’s Sleepy Hollow (1999), fighting Johnny Depp and Casper Van Dien, he wasn’t even given the luxury of a head! Most recently, he played Snake Eyes in the film adaptation of G.I. Joe. and nine episodes of Heroes.